There are studies that compare filters. Fram never does well on them with their stock filters. the Tough Guard ones are better but shops don't always stock them. Yes I think the oil would get dirtier faster and not filter out as many things as it should. I don't like FRAM for the reasons Derek said, IMHO there's no doubt FRAM's are inferior and poor quality filters. I've even seen one that just collapsed and failed in someone else's car. The best filters are oem . what happen when you use FRAM? oil got dirty faster? sorry, maybe dumb question....I never know how you can tell if one filter is better than another. Now I can answer this for sure. Yes when you use FRAM (even the expensive "synthetic" filter) the oil gets dirty VERY fast! It actually takes away some of the benefits of using good synthetic oil, it's no joke or myth that FRAM makes the worst/most horrible filters. Anyone who values their car should never use FRAM, I wouldn't even use it in a low performance vehicle, why bother when you can do better for the same money (actually I think WIX costs less). The reason I am saying this is because of the difference I noticed. 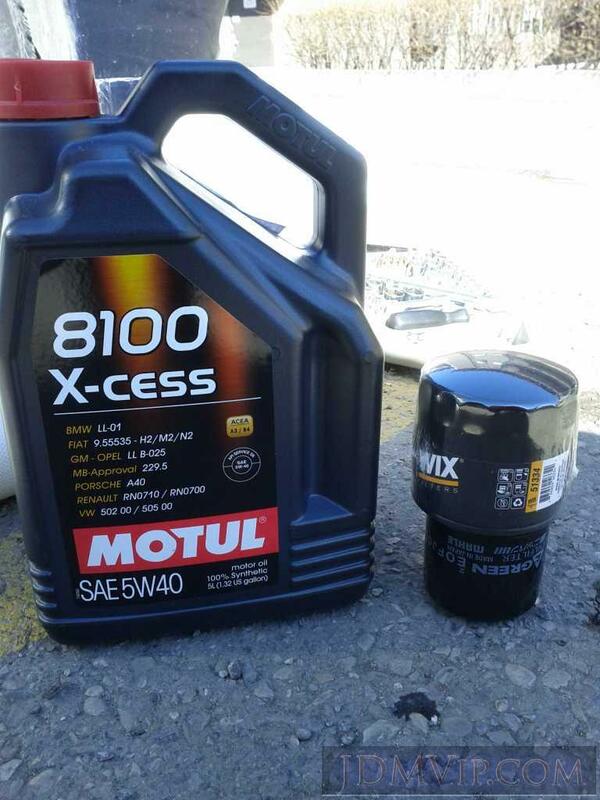 Last December I put in the NAPA Gold (WIX) filter, and the oil still looks new, it's not dirty and black like it would be with the FRAM after 1-2 months. It's almost 4 months now and the car has sat more than normal during the winter (sometimes a few days at a time or even a week) and the results are better. My 2 cents, The oem filters are not expensive anyway so why worry about saving a couple bucks on a cheap filter, get the OEM if you can. Oil filters work as such they filter the dirt and other crap from your engine, once the filters inside trap enough crap they get clogged, there is a bypass valve that allows the oil to pass through, meaning it no longer is being filtered=very bad for your engine. That is why regular oil changes are important and a quality filter. I wasn't trying to save but just looking for better than OEM/convenience (it's a pain to go to the dealership). I wonder how the WIX/NAPA gold compares to the OEM Subaru filter. So far I'm quite happy with the NAPA Gold/WIX but I'm due for an oil change so maybe I'll try an OEM Subaru filter. Any experience with the pink STi filter? It's pricey, but is it just some OEM unit in a pink casing or a premium design? If I'm going to spend $60 on good lubricants I'd rather use an effective filter as well. Anyone ever use Quaker state # QS14612 ? When Amsoil provides a warranty for their oil and filters when used together, for up to 15000 miles, you can't go wrong. It's always worked for me. YMMV of course. I just mean to add to what others have posted about Wix filters on these vehicles. On my Legacy RS-B (EJ20R) I use Wix #51334, listed for the USDM EJ25D engines, which I've actually always used on my USDM BD5 EJ25D as well. I pick 'em up at Autovalue. Although my vehicle has an EJ20R (as opposed to a G or K), it's still a 2L turbo engine, with everything realistically working the same. Not to mention the filter is listed for a 2.5L engine anyway. As you can see, the Wix 51334 filter is quite a bit larger than the filter I pulled off the engine that had been installed in Japan. Luckily though the rubber seal on the Wix has the same diameter as the top of the smaller japanese filter (no rubber seal on the japanese one though, just metal to metal contact... strange). 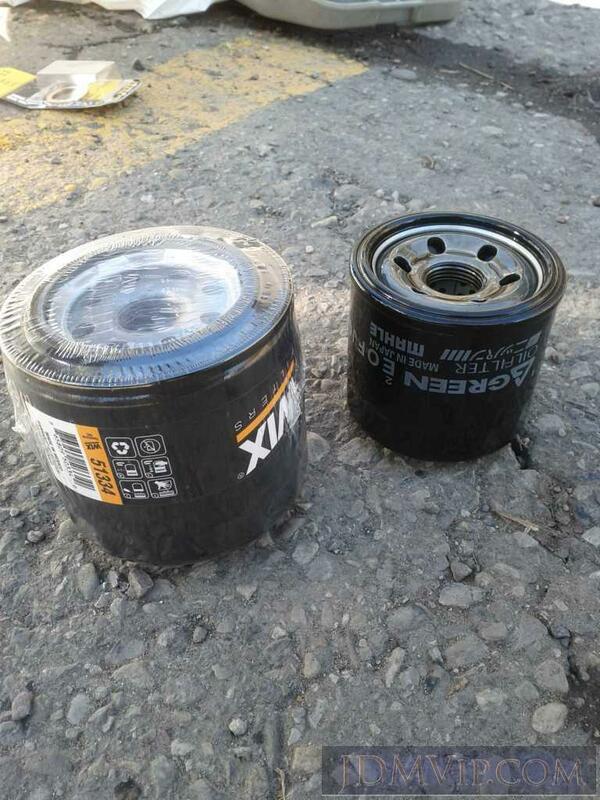 The central threading and central bore diameter on both filters match up as well. When I removed the old filter, I noticed that my EJ20R must have an oil cooler, a little unit between the block and the filter housing, that the filter screws to, with coolant lines in and out coming from and going into the block. I was worried the Wix filter being larger would not fit properly and clear the exhaust manifold pipes or seal to the oil cooler properly. Everything lined up and sealed well though and the engine is happy, with the new 5w-40 Motul oil as well!! Feel free to correct my if I'm wrong but from what I understand, smaller filters produce higher oil pressures within the engine, which is needed or desired in some cases. Additionally, from what I gather, a larger filter has potentionally greater filtering capabalities due to greater filter-media surface area. More filter to filter the oil. So far so good with the larger Wix 51334 filter. I know the USDM EJ205 takes a Wix #57712 (please confirm when buying of course!) as listed in Autovalue's system, which is smaller in size and more along the lines of the one that was already on my RS-B. With the Wix 51334, my EJ20R took 4.5L of oil to the full mark on the dipstick. There was roughly 4.2-4.3L of oil drained from the engine, with having the smaller japanese filter installed. Perhaps next time I'll compare and go with a Wix 57712 listed for the USDM EJ205 for kicks. Might be better?? ?